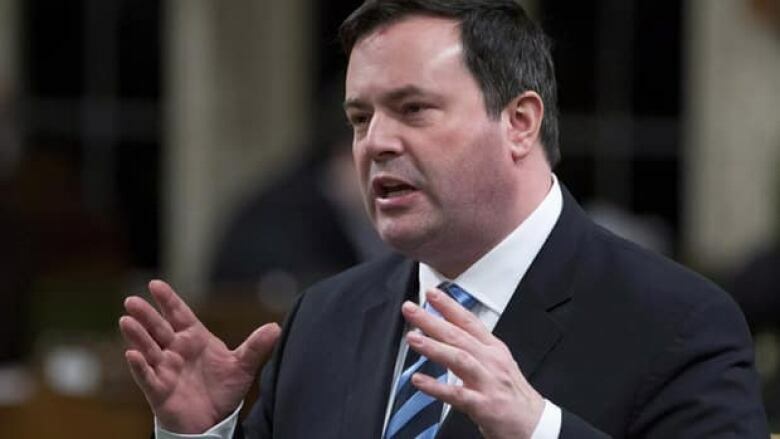 Thursday's announcement by Immigration Minister Jason Kenney that eight countries have been added to a list of safe places has drawn the ire of Hamiltonians for Migrant and Refugee Health. Thursday’s announcement by Immigration Minister Jason Kenney that eight foreign countries have been added to a list of safe places has drawn the ire of a Hamilton healthcare special interest group. Healthcare providers and students from Hamiltonians for Migrant and Refugee Health (HMRH) are condemning the announcement that countries including Mexico and Japan have been added to the list of Designated Countries of Origin (DCO) — a list of "safe" countries whose refugee claimants have a streamlined process to prove they have genuine need for asylum. The HMRH says this move leaves increasing numbers of refugee claimants without access to emergency or preventative healthcare. "The negative impact of the DCO list has already been felt in the healthcare community," said Katie Dorman, a medical student and member of HMRH. "Volunteer health clinics seeing refugees have been overwhelmed with patients since the list came into effect, and the addition of countries means that increasingly there will be people living in our community without access to essential health services." According to the HMRH, refugee claimants from designated countries are no longer covered by the Interim Federal Health (IFH) Program, which provides limited temporary coverage of health-care costs to protected people who are not eligible for provincial or territorial health insurance plans and where a claim cannot be made under private health insurance. An exception to that rule would be under circumstances that pose a threat to public health or public safety. "Since cuts to the IFH Program took force on June 30, 2012, health care providers in Hamilton have seen an increasing number of refugees who cannot afford their medication or who have been denied basic health care services altogether," the HMRH said in a news release. "Providers have also encountered pregnant women who have been denied prenatal care, children being turned away from walk-in clinics and the emergency room, and individuals who are being denied medications to treat chronic disease. The recent expansion of the DCO list clearly poses a significant threat to the health of many refugee claimants in Canada." That brings the total number of countries on the list to 35, including the United States. Hungary, which has generated a spike in claims from ethnic Roma, is on the list, although Romania and Bulgaria are not. The HMRH says that the addition of Mexico to the DCO list is of particular concern given the "tragic cases that have emerged from this country." Last year, a 41-year-old Mexican woman who had been trying to gain refugee status in Canada was beaten to death five weeks after being deported to Mexico. "It is clear that a country cannot be deemed unanimously "safe" when there is a real and disproportionate risk to women, individuals from LGBTQ communities, and ethnic minorities fleeing persecution based on gender, sexuality, and race," reads the HMRH news release. Refugee claimants from the 35 countries will be fast-tracked with no right of appeal for a negative decision. All applicants have the right to a judicial review of their case by the Federal Court to ensure it was handled properly, but those from the countries designated as safe won't be able to appeal the decision with the Immigration and Refugee Board. Mexican visitors to Canada will still need a visa, although a Canadian official says that will be re-examined once they know by how much the number of claimants falls. Be given less time to prepare their claims before a hearing. Have no opportunity to appeal a negative decision before the new appeal division within the Immigration and Refugee Board. Have only 45 days until their hearing if they make a claim at the border, and 30 days if they make an inland claim. Be subject to much faster removal times once a claim is rejected. Be allowed to appeal for a judicial review if their claim is rejected, but they could be deported before that. Not be eligible for basic and emergency health care (other than the treatment of conditions raising public health or safety issues). Not be allowed to appeal on humanitarian and compassionate grounds, or ask for a pre-removal risk assessment, until one year after their claim is rejected, by which time they would likely be deported. That's the same for all failed claimants. A refugee reform bill implemented last December allows for countries to be placed on the list if their claims have a rejection rate of at least 75 per cent at the Immigration and Refugee Board of Canada, or a withdrawn and abandoned rate of at least 60 per cent. But Kenney has reserved the right to place any country on the list if he deems it to be democratic, with an independent judiciary. QUIZ | Would you qualify to come to Canada as a skilled worker?